Make It A Getaway, To The Beautiful Pocono Mountains! Stay and play at two of the Tripadvisor top ranked businesses in the Pocono Mountains. 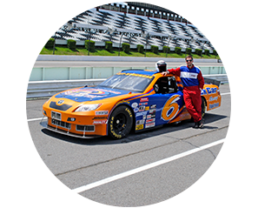 This package includes your choice of one of our StockCar Driving Experiences and a one-night stay at The Village At Pocono. The Village At Pocono is located adjacent to Pocono Raceway for your convenience. You can choose to stay the night before or the night of your experience. Makes for a perfect vacation in the beautiful Pocono Mountains. This package can be purchased as a Gift Voucher below. After giving this voucher, the recipient can call at their convenience and make a reservation for both the room and the driving experience. 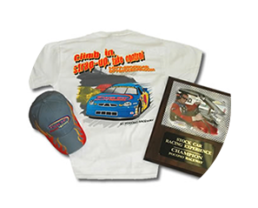 This package is priced for your StockCar Experience to be completed on a Weekday. If you’d like your StockCar Experience to be completed on a Weekend date, there will be an additional charge of $50 at the time your reservation is made. There is no additional charge for room reservations made on Weekend dates. If you are ready to book and make a reservation for this package please call 877-786-2522. StockCar Racing Experience will handle both your driving experience reservation and your room reservation. The base package includes one 10-Mile Driving Experience and a one-night stay at The Village At Pocono, in a Studio Villa. BELOW YOU CAN PURCHASE AS A GIFT VOUCHER ALONG WITH CHOOSING OPTIONS TO CUSTOMIZE THIS PACKAGE. The Village at Pocono is located in the heart of the Pocono Mountains, adjacent to Pocono Raceway, which owns and operates the resort. Opened in August 2009, they pride themselves on having flexible renting options and pristine accommodations at affordable prices. Whether you need 1 room or 50, for a night or a season, they will work with you to make your dream vacation possible. 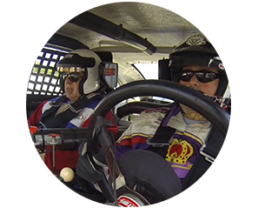 With the Drive and Stay package you will have the option to choose from our 10, 20, 40, 60, or 80-Mile StockCar Driving Experiences. You will also have options to choose for your guests. Don’t miss this chance to spend a night in the beautiful Pocono Mountains and drive one of NASCAR’s famous super speedways.